Here we are back in Lincolnshire for another coaching day. Not so lucky with the weather at the moment though - wets on first thing. 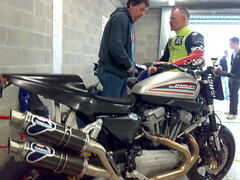 This is my second coaching day this year; back to Cadwell. Can not believe the weather - sunny and dry - again! Fantastic! 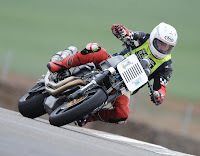 Harley XR1200 test in Spain - overview video. I have finished my report of the testing trip at last - you can read it now in the 'latest news' section of my main website. Here are the tickets issued by the Gendarm, just as well he stopped at 10! I think his book ran out... 495 Euros - It's really put a dent in the finances. This great action shot is one of many taken by BritishSportPhotography. Click on it to go full size. 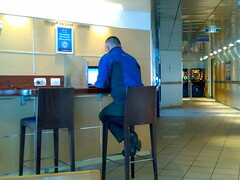 Just typing my report of the trip while cruising across the Channel on one of www.norfolkline.com excellent ferries. 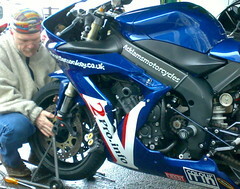 Wayne Bullen is a long time sponsor of motorcycle sport so will always give competitors a good deal. Cheers. driving home the scenic route. 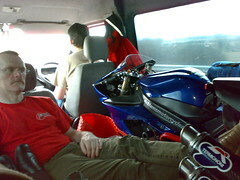 We were in a rush to get to Spain so we did motorways all the way. We fancy a change for the drive back so we are taking the small roads through the mountains. The scenery is breathtaking. Makes me feel very insignificant. Just before we set off home. Yesterday I ran with the cameras on Frank to test some new batteries. Got some good footage of Jenny Tinmouth out on track. So this morning after packing the van I had time to run through it with her. She's certainly talented; a good, smooth, fast rider. Video of "Steve" at Alcarras. We have had lots of sessions today. Tried many different settings. Just got one session out on Frank. Got some good video of other riders in the advanced group. Getting plenty of miles under "Steve's" drive belt now. Doing some experimenting with tyre pressures. Got lots of great on board video footage. Well I've spent a couple of sessions today just putting miles on 'Steve'. He's loosened up nicely now. I built the revs up gradually throughout the day. I now know the limiter kicks in about 6,800. More to do on the suspension tomorrow. 'Frank' is having a good time too. This is the first time I have ever ridden Frank just on my own, not on a coaching day. With no noise restrictions we have even taken his decibel killers out; so now he really feels like he's not at work but on holiday. 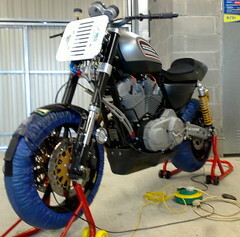 So despite being almost 500 quid lighter we decided to press on to the test in Spain. 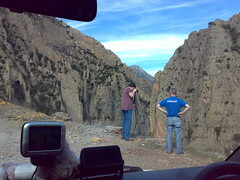 So here we are at Alcarras with Hottrax. Really pi$$ed off. 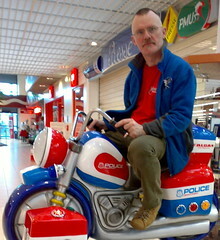 Was pulled in the services while riding through to run up and down the gears. One policeman seemed bike friendly and was prepared to let me off with just one ticket. The other one sensed a record for his station and escorted me back there. 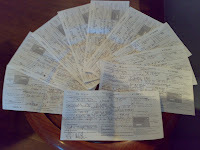 Ten tickets and 495 Euros later I am wondering whether we can afford to go on to the test. Fancy that. No such thing as a day light MOT in France! Well I managed to do 28 miles before being pulled by the Gendarmerie. 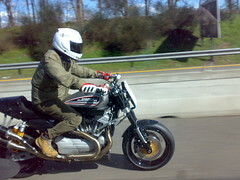 I dont know what I will be in trouble for exactly as I was only running the bike in. But I am worried its going to cost me all that I managed to save up gritting over Christmas. Only about another nine hours to go. 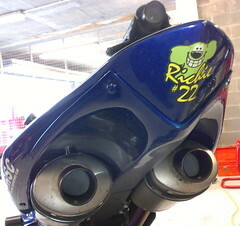 If the weather brightens up I might put "Steve's" number plate on and do some distance. He's only got 8 miles on the clock and it would loosen him up before we get on track.